Who are you proud to be? A sportsperson, coach, umpire, official, supporter or sponsor? Wouldn’t it be great if everyone could share in the spirit and friendship of being part of a team or club? Many LGBTIQ people are missing out because they have experienced verbal abuse, bullying and homophobia. 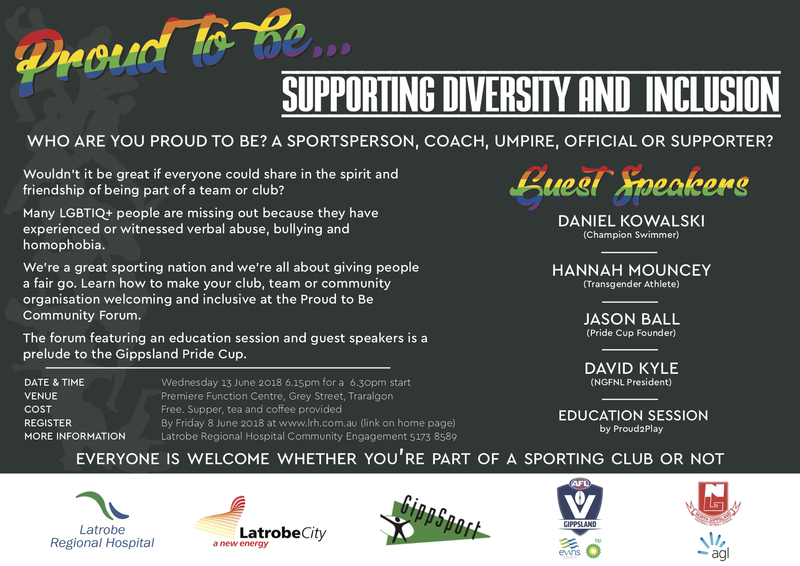 Learn how to make your club, team or community group welcoming and inclusive at the Proud to Be Community Forum which features an education session by Proud2Play and guest speakers. This is a FREE event and everyone is welcome, whether you’re part of a sporting club or not. Supper, tea & coffee provided.